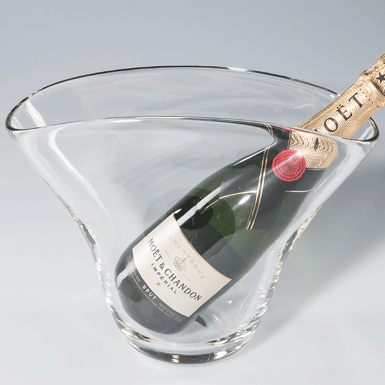 Conca is a wine cooler or vase. A magnificent piece designed by Roberto Niederer. Ideal for lettering and monograms: Cut, engraved or painted. We will help you! Mouth-blown into the mould, flamed and lowered onto the wood mould.